MILLIGAN COLLEGE, TN (September 12, 2008) – Anne B. Elliott, assistant professor of music at Milligan College, has been named the 2008 Music Teacher of the Year by the Appalachian Music Teachers Association. The Appalachian Music Teachers Association is a professional organization of independent and college music teachers. It is the local chapter of the Tennessee Music Teachers Association and the Music Teachers National Association. 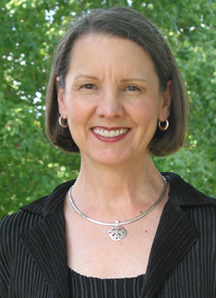 Elliott holds a bachelor of arts degree in piano performance from the University of South Carolina at Coastal Carolina College in Conway, S.C., and a master’s degree in church music in piano/accompanying from Southern Baptist Theological Seminary in Louisville, Ky. She also earned a piano pedagogy certificate from ETSU. Elliott has taught piano at Milligan since 1999. She and her husband, Gene, reside in Johnson City. For more information about Milligan College Music Office, call 423.461.8723. Posted by tommy on September 12, 2008.